Traditionally, a pharmacist’s primary role involved the preparation and dispensing of the medication. However, the increasing availability of new medication and changes in health care reform affect the role of the modern pharmacist. As they strive to keep up with the effects of new drugs, including OTC drugs and natural products, and new standards of treatment, pharmacists will rely heavily on their pharmacy technicians to take on added responsibility. Pharmacy technicians in Colorado and other states across the nation are taking on tasks, which were at one time reserved solely for the pharmacist. Trained technicians take prescription orders over the phone, prepare and dispense medication, and focus heavily on reducing errors. Their diligence gives pharmacists more time to keep abreast of new medications and counsel patients. Therefore, pharmacy technicians are more than just basic assistants. They’re critical elements in the effective functioning of community and hospital pharmacies. Proper training and education will prepare pharmacy technicians to shoulder more responsibility. While there’s no push on the part of Colorado’s Board of Pharmacy to register and promote standardization and accreditation of pharmacy technicians, the onus is on pharmacy employers and individuals to uphold nationwide standards. Accredited training programs and national certifying authorities help to increase standards and equip technicians with the skills to prepare and dispense medications with public safety in mind. The Board of Pharmacy does not register, license or certify pharmacy technicians. 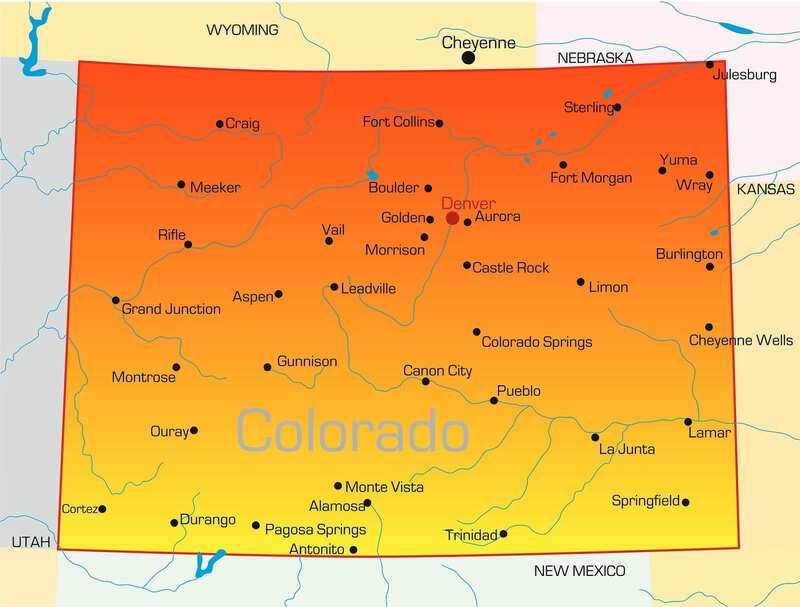 Colorado is just one of a few states where there’s no legislation governing the activities of pharmacy technicians. Pharmacy employers bear the burden of substantiating, training and monitoring every pharmacy technician that comes into their employ. Since the pharmacist-in-charge and the Pharmacy as a whole may be held liable for errors or oversights on the part of the technician, it’s critical that they validate and train employees in all the activities they must perform. A pharmacy technician prepares and dispenses medication and execute other routine tasks under a pharmacist’s supervision. That definition doesn’t change –even in states like Colorado, where there’s no legislation to govern the profession. Pharmacists must still check the technician’s work to ensure public safety. Each pharmacy employer or chain of pharmacies will set their standards for employing, training and certifying pharmacy technician employees. Most employers require applicants to possess a high school diploma before they commence in-house training. Others are partial to technicians who have completed some form of formal training and national certification as it cuts the hours they’ll have to invest in training new employees. Accredited training and national certification will be beneficial now and in the future when the state makes a move to register certified pharmacy technicians. Pharmacy technicians must be at least 18 years old to begin working at pharmacies in Colorado. A high school education with an emphasis on maths, biology and chemistry, will give you a jumpstart on the courses needed to excel as a pharmacy technician. It’s left to the employer to establish the minimum requirements for training pharmacy technicians. However, most employers prefer candidates with a high school diploma or GED equivalent as a prerequisite to on-the-job training. Vocational schools, community colleges, and other traditional academia also require applicants to present their high school transcripts or diploma as a prerequisite to entry into the programs. It should be every technician’s goal to obtain PTCB or ExCPT certification. Both certifying bodies require applicants to submit their high school diplomas as one of the requirements for certification. For this reason, you should earn your diploma or GED before pursuing a career as a pharmacy technician. Most employers will initiate a criminal background check, with candidates’ permission, as part of the application process. On the application for employment, the employer will include questions related to your criminal background and will follow with questions during the interview. Laws governing the operation of state pharmacies prohibit the employment of persons with criminal convictions, especially those related to controlled dangerous substances. It’s natural to be concerned about youthful indiscretions, but they may not necessarily exclude you from becoming a pharmacy technician if you’re honest from the onset. Respond to the questions about previous crime, felony or misdemeanor truthfully and provide a detailed description of the events that lead to the conviction. The pre-employment/ pre-training criminal background check will authorize the employer to review documents from Colorado and other states. The clinical externship is a critical part of the training program, which involves spending 4-8 weeks in a local pharmacy putting your skills to work. In preparation for the off-site externship, the training provider will require students to consent to a criminal background check as a security measure. Students may also need to pass a drug and TB test and obtain up-to-date immunization. If you’re skipping employer-based training in favor of paid training, then programs accredited by the ASHP may be the best option. Accredited training providers not only conform to the stringent requirements of the ASHP, but also equip students with portable skills they can take from one pharmacy setting to another. Graduates from these programs have a distinct advantage over graduates of non-accredited programs: employers know they can work in almost any setting and have experience in IV preparation, sterile products, vaccines and stress management. Certificate programs at community colleges, vocational schools and continuing education programs at universities use either credit hours or course hours to measure the program. Pharmacy technician programs cover 30+ credit hours that may be transferable to degree programs. Programs accredited by the ASHP provide at least 600 course hours. Full-time students can complete a program in 4 to 12 months. The duration of employer-sponsored programs depends on the employer’s curriculum and students former education and training. The pharmacist-in-charge will develop the curriculum based on the pharmacy technician’s responsibilities in the workplace. In general, you can expect to spend at least 3 months covering the didactic and experiential components of the program. Employer-based programs are not standardized, so training provided by one employer may not meet the requirements of another employer. 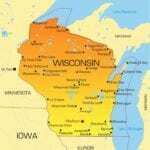 The training also may not meet the requirements of licensing authorities in other states, so weigh your options carefully. One benefit of training on the job is the absence of costly tuition and other expenses. The cost of tuition at colleges, vocational schools and other institutions is approximately $2,100 plus extra for books, uniform, and national certification. The PTCB, as well as the ICPT, are the two recognized certifying bodies. 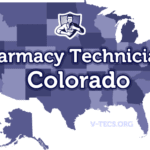 Even if Colorado doesn’t specifically require certification at this point, a lot can change in the near future as licensing authorities develop new legislation governing pharmacy technicians. Taking the step towards certification will also demonstrate your commitment to excellence to prospective employers. In future, the PTCB will require candidates to complete formal pharmacy technician training as another requirement for certification. Once certified, you must complete at least 20 hours of continuing pharmacy education in order to renew your certification. The cost of PTCB certification is $129. The ICPT’s ExCPT assessment is gaining ground in formerly PTCB-dominated territory. Employers, once partial to the PTCB certification, now concede to the ExCPT’s benefits. With wider acceptance of both authorities, it’s left to the candidate to choose a certifying body. The ExCPT exam is a multiple-choice exam administered at PSI/LaserGrade centers 310 days a year. Applicants must be 18 years or older, have a high school diploma, and complete formal pharmacy training before applying for certification.